Planning to tie the knot soon? Then follow in the footsteps of many revelers before you looking to celebrate their last few days of singledom, and choose Barcelona as the destination for your stag or hen party. Packed to the brim with wild bars, amazing sights and plenty of fun activities, Barcelona is a great place to let your hair down. Whether you choose explore the city in a race against time on a treasure hunt, or enjoy a delicious meal and some cool cocktails at one of the most famous clubs along the coastline, one thing is for sure, opting to celebrate your stag or hen party in Barcelona is a great choice for a memorable sendoff! Check out our top 5 ideas for stag and hen parties in Barcelona. Ladies, are you ready for a wild night out? Well, you’ve taken the first step in the right direction by choosing to celebrate your hen party in Barcelona. So, while you’re in this beautiful city, we suggest trying your hand at cocktail making. A typical cocktail making class in Barcelona lasts for 2 hours, ensuring that you get the right mixing skills and have plenty of laughs along the way. Plus, you can drink what you created afterwards which may just give you the perfect start for your night out! Anyone up for a spot of whisky tasting and a cheeky bet or two? Spend the night at a whisky bar where you and your group will have your own private wait staff to bring you a range of the best whiskys to sip, while your friends and family answer questions about you – risking it all with poker chips! This one’s a lot of fun but sure to bring a few skeletons out of the closet. Find out more here. There are plenty of activities available for groups heading to Barcelona on a stag or hen weekend, but one of our favorites involves hitting the cool waves of the Mediterranean for a day. 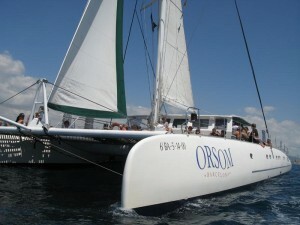 A sailing trip in Barcelona is not only a great way to relax (or party!) under the Spanish sun, but you’ll also be able to enjoy some of the best sights of the city from the coastline. Kick back with some champagne or ‘cervezas’ on your own boat, which can hold from 10-22 people. Want to do some sightseeing while letting loose? 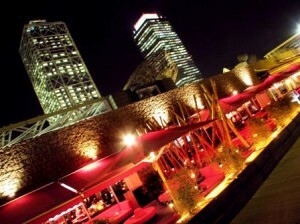 Then a Barcelona Treasure Hunt is definitely for you. Explore the city as you scavenge for items that need to be ticked off your list in a race to be the first group to finish. This is one of the most popular group activities in Barcelona and is sure to provide you with a lot of laughs! If the activities above aren’t exactly up your alley and you’re looking for something a little more quiet, opt for a traditional night out on the town. One of our favorites for dinner and drinks is the Fahrenheit Bar and Restaurant at C/ Aribau 131, offering everything from nibbles to a full meal, plus some of the coolest cocktails in Barcelona. After your delectable meal, head to one of the many clubs lining the Barcelona beachfront from the super sheek Shôko to elite Opium Mar. Naturally, there are plenty more options to choose from for stag or hen parties in Barcelona. From spas and pampering days to FC Barcelona football matches and wine tours in the Penedés region, there is certainly something for everyone looking for an unforgettable celebration! 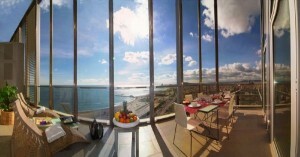 Ready to book your apartment in Barcelona? Choose from one of our many apartments for groups visiting Barcelona, able to accommodate up to 10 people. Whether you wish to be on the bustling Las Ramblas or choose to opt for something slightly quieter, Apartment Barcelona is sure to have the perfect apartment fit for your weekend in the Catalan capital. And with most of our apartments located in close proximity to public transport, you are sure to enjoy all the sights in and around Barcelona while you let your hair down. Bottoms Up! 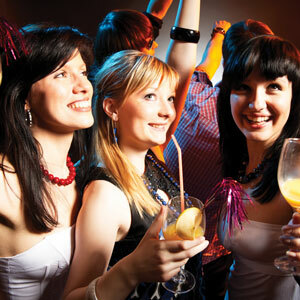 This entry was posted in Activities, Bars & Nightlife, Home and tagged barcelona activities, barcelona events, barcelona food and drink, barcelona nightlife, barcelona restaurants, barcelona tourist guide, group activities barcelona, hen parties barcelona, ideas for stag and hen parties barcelona, stag parties barcelona, things to do in barcelona, visiting barcelona. Bookmark the permalink.